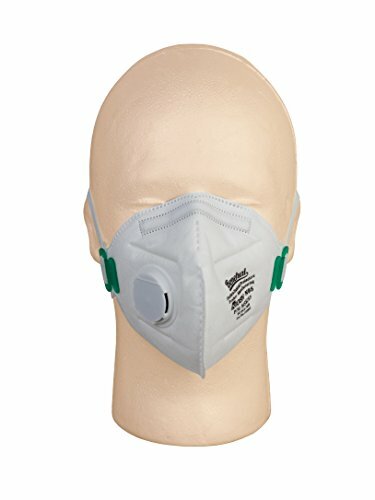 PneumaticPlus Benehal N95 Disposable Dust Mask, NIOSH N95 Approved with Nose Clip and Exhaust Valve, Package of 10. Removes at least 95% of non oil based particles down to 0.3 microns. Flat Folding Mask.